Sensational September Luxury Villa Deals! Looking for last minute luxury villa deals to escape the rain? Are you feeling as if winter is already on the way? If this is the case, I have good news! The Villas In Luxury team have found some last minute sensational September luxury villa holiday deals for your perfect luxury holiday in the sunshine. Whether it’s Mallorca, Greece, Spain or Croatia, we have some fabulous discounted villa deals to help you on your way to sunnier climates, where you will be able to top up your tan and enjoy that delicious ice cream under some blue skies. So, let’s take a look at our favourite September luxury villa holiday deals. Located on the stunning Son Bunyola estate, this beautiful luxury Mallorcan villa is an idyllic holiday destination for a group of 6. Villa Son Balagueret shares the private estate with two other luxury Villas Sa Terra Rotja and Sa Punta de S’Aguila and is only a few kilometres from the charming villages of Banyalbufar and Esporles. Villa Son Balagueret is currently being offered as a special September deal where you will receive 7 nights for 6 for an incredible price of €16,085 Euros. This special deal not only includes exclusive use of the villa but a continental breakfast, lunch and dinner along with complimentary drinks. In between the delicious gourmet meals, make sure you make the most of the fabulous facilities, which include a private swimming pool, a shared tennis court, access to the pebble beach and spa treatments on request. If you manage to tear yourself away from this luxury catered villa then the concierge service is on hand to help you book sailing excursions, canoeing and kayaking trips or how about a round of golf in the beautiful sunshine? 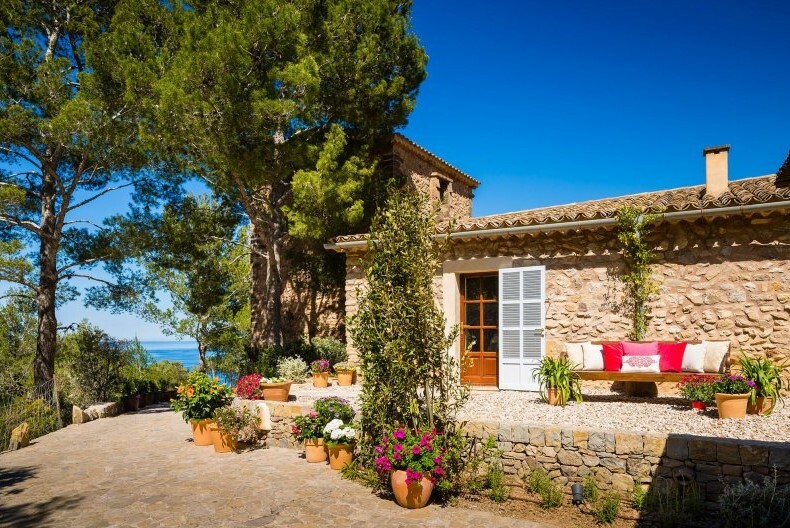 For a luxury discounted last minute villa deal in Mallorca and for more details on Villa Son Balagueret click here. Presidential Spa Villa in Crete is perfect for those looking for a relaxing last minute getaway in September. Located majestically on the hill top offering spectacular sea views and only a few kilometres from Elounda Village. This stunning three bedroom Villa is offering a fabulous last minute deal for a week stay from the 16th September for a special price of €12,572 Euros, which is to include a complimentary upgrade to half board in the Argo Restaurant (drinks excluded). This truly is a summer luxury villa holiday where you can get away from your everyday stresses and enjoy yourself to the maximum. 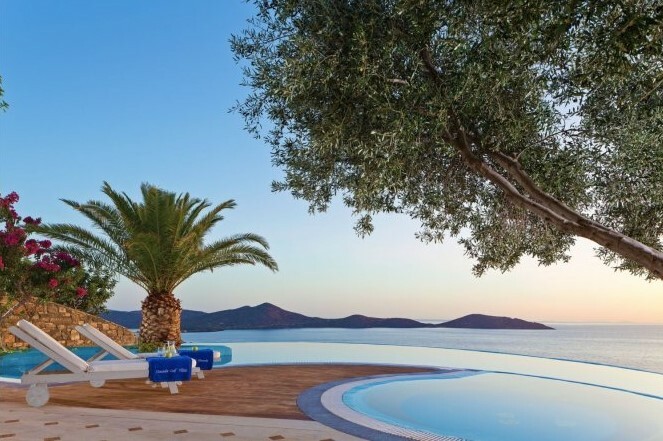 Come back to this beautiful Villa after a day of exploring this stunning Greek Island, to savour the panoramic sea views from the private infinity pool or to relax those muscles in the Jacuzzi, the private sauna or the Hammam. For a luxury villa in Greece and for more details on Presidential Spa Villa click here. Villa Casa Katerina in the beautiful Spanish town of Moraira is an ideal spot for a last minute family break, accommodating 12-15 guests. Sit back and relax in the stunning tropical gardens while enjoying your complimentary breakfast and enjoy magnificent sea views from the outdoor pool terrace. For an outstanding €4,550 Euros, Villa Casa Katerina can be yours for a week in September. 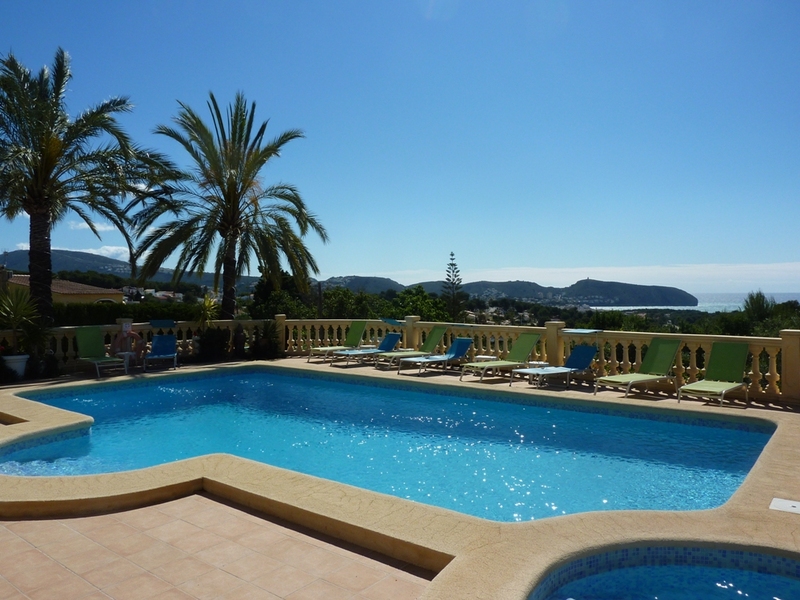 If you’re looking for perfect blue sky days to enjoy from your private swimming pool or on the beautiful sandy beach only a few kilometres away in Moraira, then look no further. With a small pool table, dart board and table tennis you know the children will be entertained while you can head to the Jacuzzi to enjoy a glass of wine. Having been on many family holidays to Moraira over the years I have to say I would highly recommend Restaurante Pizzería Gemisant, if you are a particular fan of pizza 🙂 A lovely local restaurant which has been going for over 20 years, situated just outside of Moraira centre, where you can relax and enjoy some simple yet fabulous food. For a last minute luxury villa in Spain and for more details on Villa Casa Katerina click here. 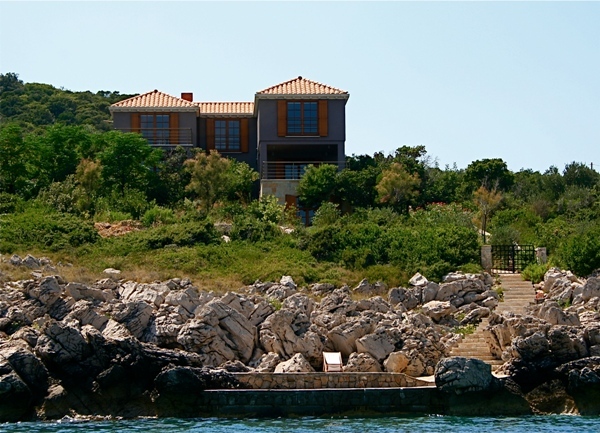 Looking for privacy and exclusivity but close enough to enjoy the beautiful city of Dubrovnik?! Villa Calamota on the car free Kolocep Island is a beautiful luxury Villa surrounded by crystal clear Dalmatian waters and lovely sandy beaches with direct sea access over to the mainland. For 7 nights from the 3rd September this oasis can be yours along with 7 guests for only €10,080 Euros. With fabulous local cuisine right on your doorstep in the village of Donje Celo and with only 150 locals situated on the Island you know you will have a truly authentic holiday away from all the crowds. However, when you want to head to the mainland to see the beautiful rooftops of Dubrovnik, it is only a 20 minute boat ride away. Or alternatively how about exploring with ease some of the other islands or the wonderful country of Montenegro. For a special luxury villa with a special price tag in Croatia and for more details on Villa Calamota click here. Wanting a last minute luxury Villa where you can anchor your yacht out front? The stunning Villa Red Land on the Dalmatian Coast in Divulje, Croatia offers exactly this. 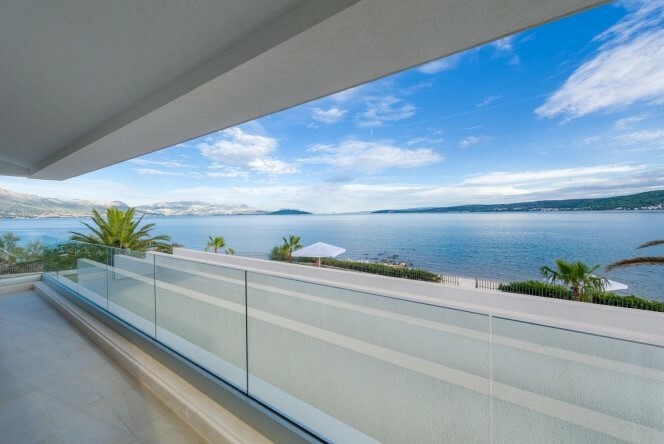 A contemporary and stylish Villa within easy reach of Split and Trogir, offering complete privacy and seclusion where you can enjoy the delights of a large outdoor swimming pool and access to your private beach. From the 2nd September, 8 guests can enjoy the privacy and exquisiteness of Villa Red Land for only €2,500 Euros per night. This really is a property that needs to be experienced if you are looking to have a sensational summer holiday in a luxury villa that has that wow factor! For an outstanding luxury villa for your last minute holiday to Croatia in September and for more details on Villa Red Land click here. The team at Villas in Luxury are always on hand to make sure we can help get you the best last minute luxury villa for your group holiday. Whether you are looking for a discounted luxury catered villa or a special price on a luxury self-catered villa that matches your requirements give us a call on +44 1202 203 656 or send us an email.